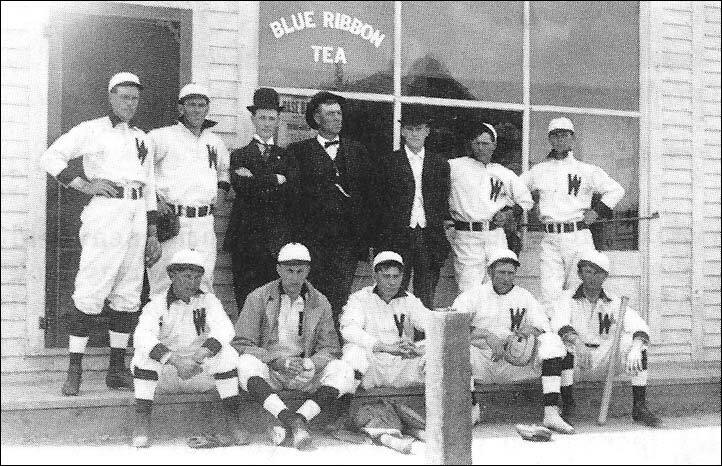 Wilcox baseball team 1909. Back row (left to right) - Bill Downton, Unknown, Bert Morrow, Charlie Wallace, Unknown, Unknown, Unknown. Front row (left to right) - Lloyd Wallace, Ray Drew, Moy Metz, Unknown, Unknown.